Happy 2017. I’ve made some goals for this new year. January never really seems like a fresh beginning – without the changing of seasons I never quite feel like I’m starting over- but I have some personal resolutions for this calendar year and this is my blog post about them. In 2016 I spent a lot of time working and/or making Big Life Decisions. I really love my job and the work/life balance I’m able to achieve with it, but from about May to October I was not only taking on lots more on a day-to-day basis, but we were also trying to buy a house, which drained me more than I think I realized. We also decided to get married, with a party and invitations and everything, which is mildly exciting but came with its own set of challenges. Since we’ve settled into our new place, I find myself home in the evenings surrounded by options. I can sit on my couch and read, I can work in the yard, we can play video games, I can sketch in my journal, I can craft something, we can cook – I can write blog posts! Having this free time is phenomenal – I remember feeling this way immediately post grad school, with a similar sense of infinite possibility. I want to harness some of this time during 2017 – not only in the evenings but on weekends and days off. I’d like to read 45 books. In 2016 I made it through 44.5 (plus about 10 listen-throughs of various Harry Potter books), and I’m really pleased with the balance I found between reading and the rest of my life. As a teenager I read a lot, all the time really, but in college and grad school I really fell out of the habit. This past year I tried to diversify my reading experience and also limit my book purchases – I am so grateful for Seattle’s spectacular library system and I really enjoyed many of the books I read. One of the topics I really got into in 2016 was food and food writing. Already a steadfast fan of Alexandra’s Kitchen, I really got into Food52’s website and podcast. One episode detailed a food editor’s journey to #cook90 – a project to cook every meal he ate for a month. It’s a fascinating project and more complex than it initially sounds (what qualifies as cooking? Don’t some people do this all the time anyway? How could barriers to cooking make this difficult? etc. ), but the thing that inspired me most is the idea of becoming more creative in what I cook. I read four cookbooks this year and I like learning about food. My friends are great cooks and we enjoy discussing food. We throw twice annual soup swaps! Eric and I have a lot of fun preparing food for each other and for guests. I’d like to do my own version of this project, #cook30, where we cook every dinner for a month. I still need to outline just what that means, but I’m looking forward to it. We’re looking forward to two-to-three glorious weeks of travel in early autumn for our honeymoon, and besides that I’d like to take three weekend trips. In the past few years I’ve been to Montana, New Mexico, San Diego, Utah, Vancouver, Eastern Oregon, and Portland (either with Eric or friends), and I want to go somewhere new this year. Back on the hiking wagon, I’d like to hike 25 trails this year, of any difficulty or length, and also spend 10 sleeps outside – well, preferably in a tent. We’ve already hiked twice this year – off to an excellent start! My goal also includes our garden. 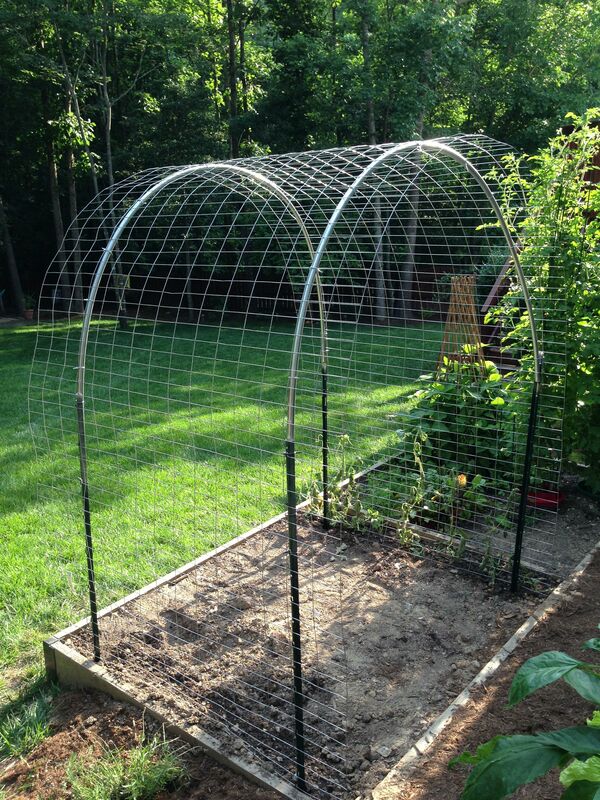 It’s no shock to anyone that knows me that I really love growing food, and that the main purpose of having a big yard in this house is to immediately replace all the grass with productive food-bearing plants, some cute paths, and maybe a bean tunnel or two. I’ve spent the last few days sketching garden designs and plotting out raised beds in the backyard so as to garden with a mostly no-dig technique, and my goal for this year is to build the bulk of my garden plan: 6 raised beds in the back yard in addition to the one I’ve already finished in the front, and to fill them with produce started almost entirely from seeds. Also maybe some fruit-bearing bushes to make Seattle summers even more phenomenal. Our home improvements in 2016 included lots of investing – in new electric, a new furnace, and a DIY drywalling project in the basement. In 2017 we’re going to dial it back a lot (I hope…), but I’d like to paint three rooms (suffice it to say peach isn’t really my color), and replace our bathroom pedestal sink with something a bit more practical (i.e. with storage). My financial goal in 2017 is to eradicate my student loan debt by June 30. When I graduated in June 2014 I made a goal to eliminate all the debt in three years. I’m in good shape – I’ve been putting about 40-50% of my income towards these loans, plus all tax refunds and extra cash that comes my way, and my intense budgeting is paying off – I’m starting off on January 1 with only $9,096 in Stafford Loans and $3,502 in Perkins Loans, down from an initial total of over $36,000. Time to kick it up a notch and institute some spending fasts to finish them off! My secondary financial goal is to then build my emergency fund up to cover 6 months of living expenses (it currently covers 3), and then maybe to treat myself to a lightweight backpacking sleeping bag and a good selection of fancy cheeses. And finally, service. I need to do more that is outside of myself. I have what I’ve come to realize is a fairly mild but nevertheless present anxiety about social situations, and I struggle with new groups of people. But there are things I can do and places I can get involved regardless, and I need to find them. My initial goal on this front is to contribute 3 days of service in 2017. This is small, but it feels manageable, and I hope it will spur me to do more. What are your goals for this new year? I hope it’s a good one for you. You’re getting married, register for a new sleeping bag!